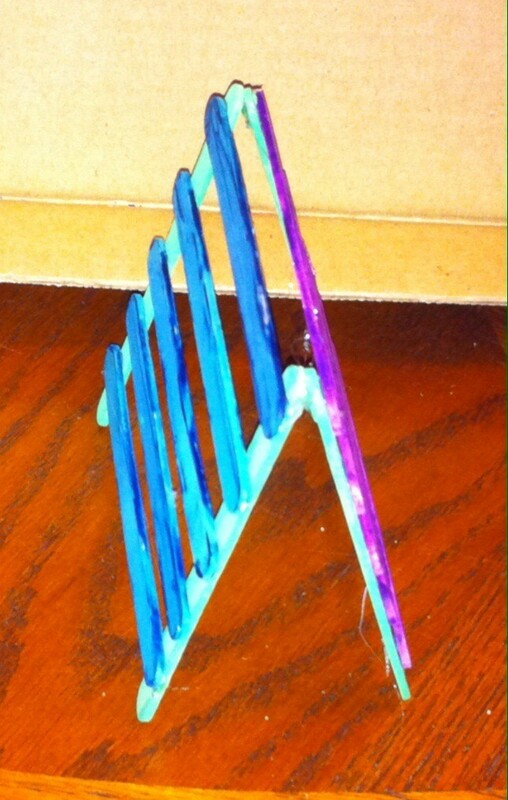 Paint or use the pre-dyed craft sticks from your local craft store to make this cute holder for your French wire style earrings. 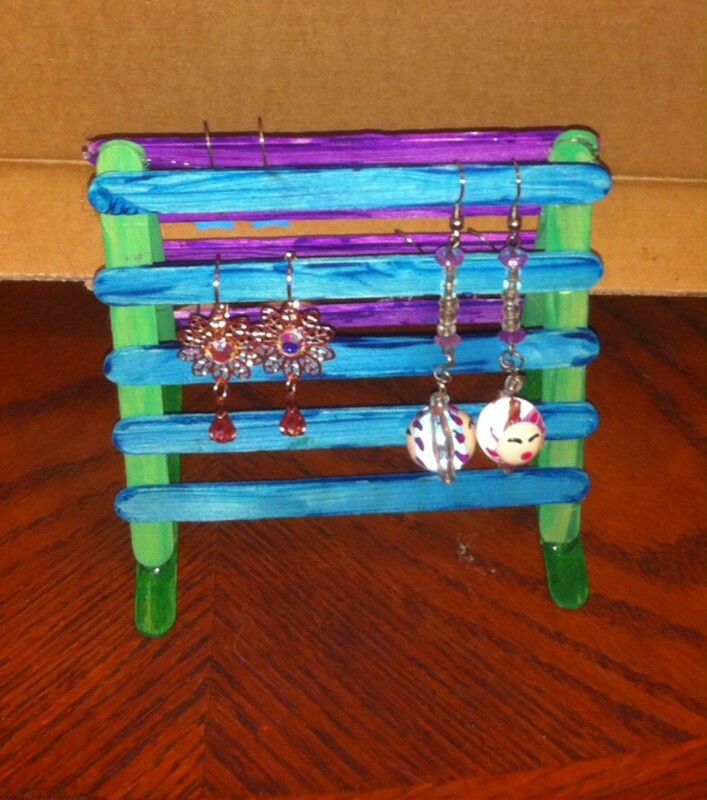 This guide shows you how to make a craft stick earring holder. I am not big on wearing jewelry because my skin is so sensitive. However, I do enjoy earrings, even though it hurts to wear them. It is silly for me to have a jewelry box though because all I have are those earrings. 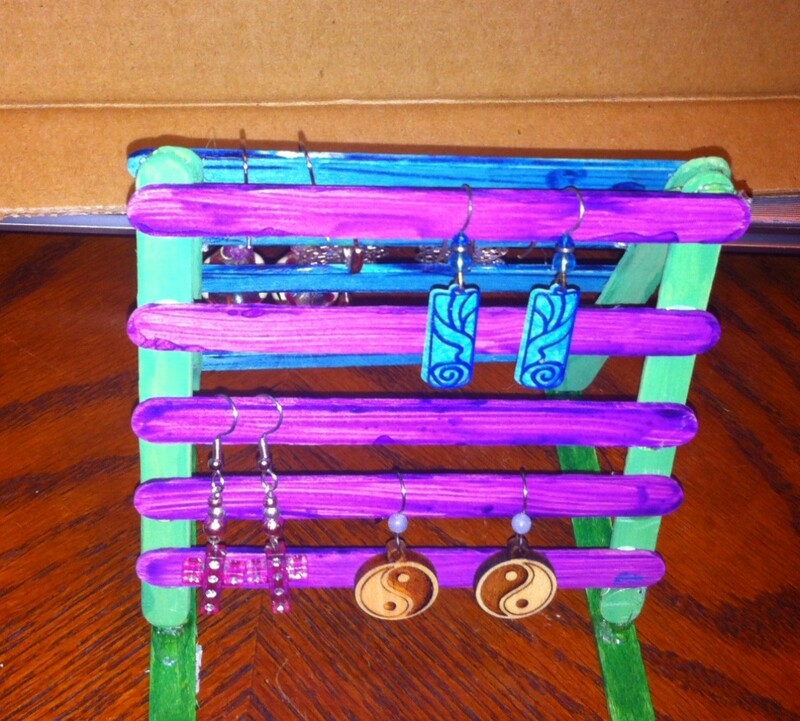 Instead, I made an earring holder out of craft sticks. I love how the piece looks and how easy it is to add and remove my earrings. 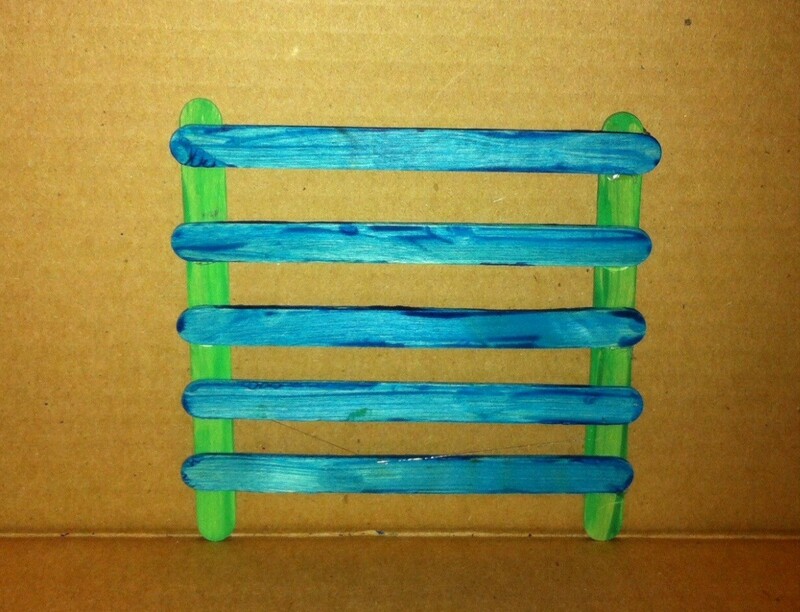 This holder would also make the perfect gift for family, friends, and coworkers! And this particular one is good for hook earrings, along with some latch backs. 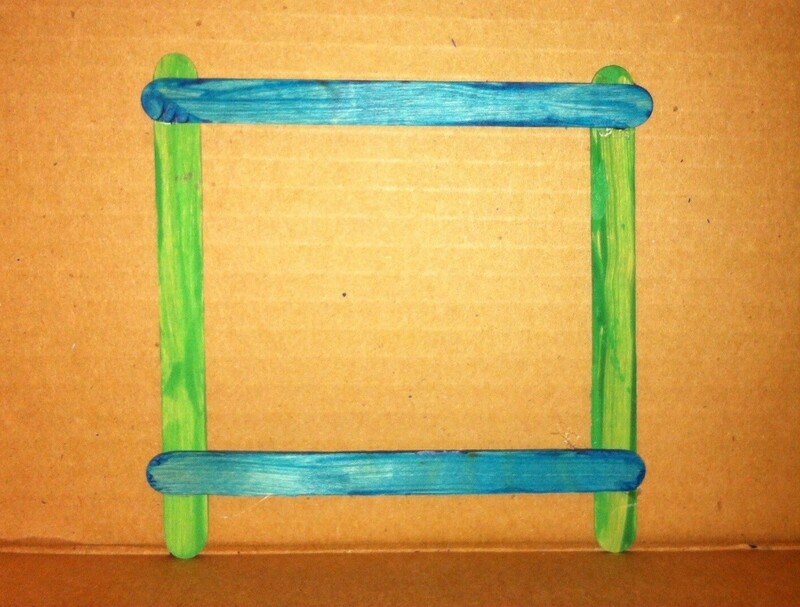 You'll need 5 craft sticks for both sides and 6 for the frame. 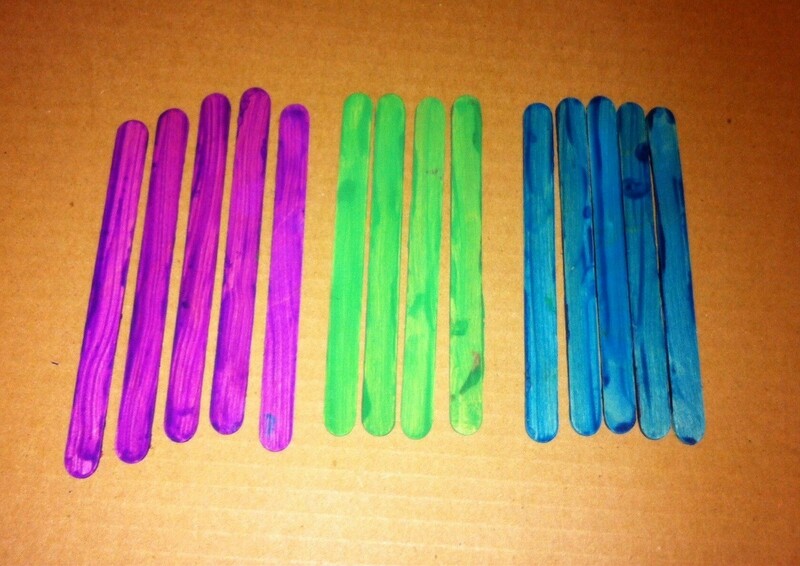 Paint the craft sticks any colors you choose and allow to dry. 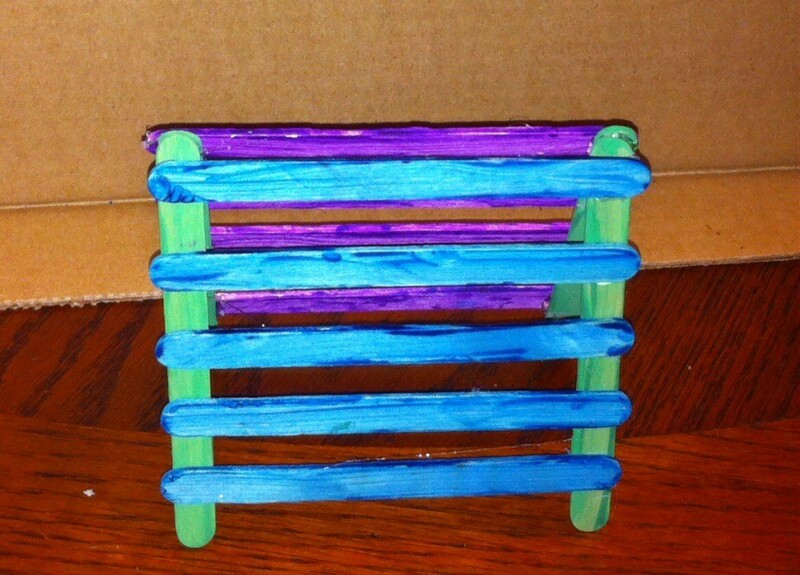 For the frame of side one, lay two craft sticks down vertically, and parallel to each other. They should look like the sides of a capital "H". Hot glue one stick about a half an inch from the top, across those sticks. Leave about an inch at the bottom and glue a second stick across. Finish adding three more sticks across the first two you laid down. The result will resemble railroad tracks. 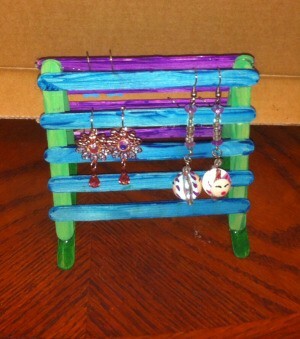 This is one side of the earring holder. Repeat the process to make the other side. 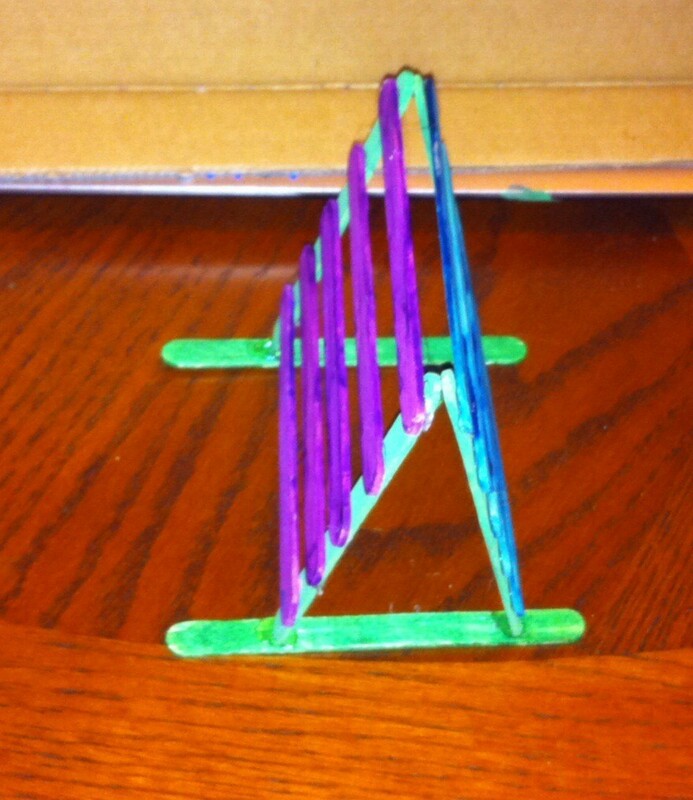 Stand the two sides up, making the tops meet, forming a triangle. The base should be at least 4-5 inches apart. 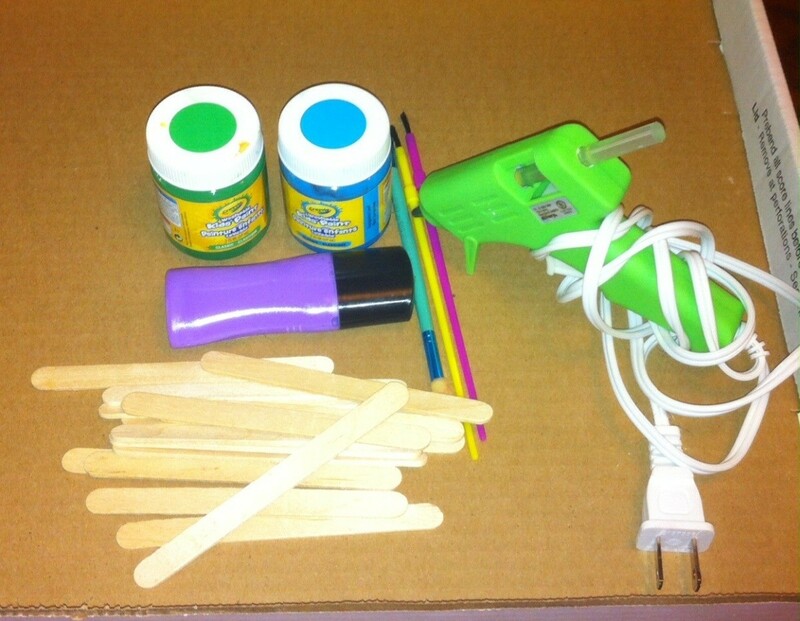 Glue the tips of the left and right craft sticks. Lay down two more craft sticks, like the first two. 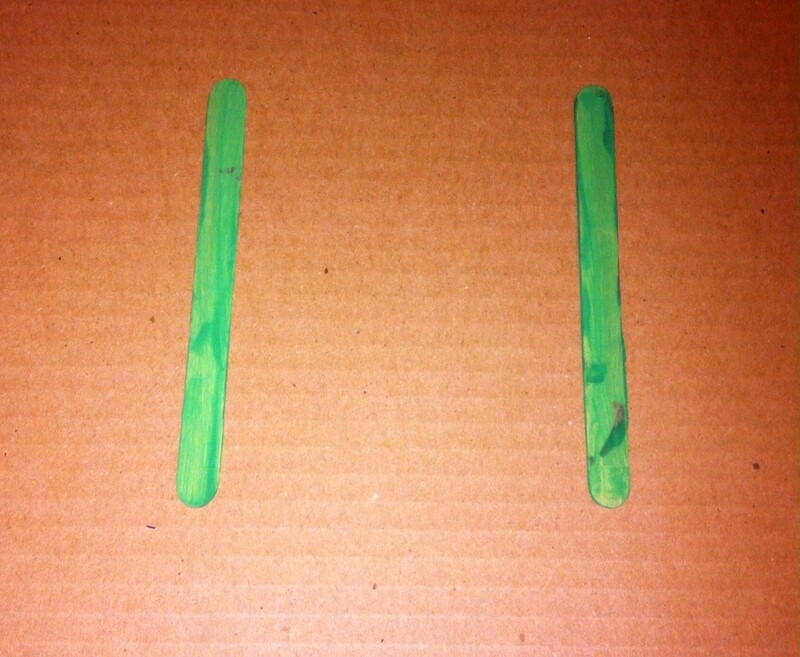 Glue the tips of the triangle base on top of the two sticks, about 1/2 - 3/4 from the ends. 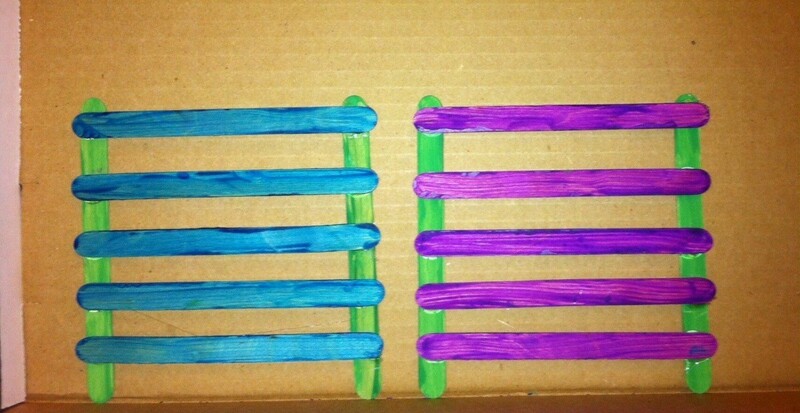 Now you can store your earrings along each level!